Declan Jones has inked a new sponsorship deal with HERO Energy ahead of his debut in the 2013 British GT Championship at Oulton Park this coming weekend (March 30-April 1). 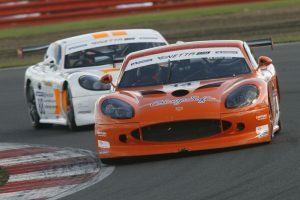 The Halewood Village-based youngster, who makes the step up to the British GT Championship this year with Nathan Freke’s Century Motorsport – the same team that he enjoyed so much success with at the end of last season in the 2012 Michelin Ginetta GT Supercup – now becomes part of the Team HERO roster, alongside a number of other top athletes and sports stars on the HERO Energy books. “It is fantastic to welcome HERO Energy on board and I am very proud to be associated with them,” said Declan. Declan will compete in the GT4 class in the British GT Championship, using a Ginetta GT4 and sharing the car with Zoe Wenham. Furthermore in addition to backing from HERO Energy, Declan will continue to be supported by Chicago Soft and The London Perfume Company Limited. “I am really looking forward to the year ahead,” added the 17-year-old. “I tested out in Zandvoort a few weeks ago and was quick – the car felt good too. I can’t wait for Oulton Park now. It is my home track and I am keen to do well. “It is a new challenge and new championship for me but it is very exciting to take the next step up the ladder. I wouldn’t be able to do this without my sponsors, Chicago Soft, The London Perfume Company and HERO Energy, however, so a huge thank-you once again to them for all their support. Declan’s dad and manager, Kelvin Jones meanwhile is delighted HERO Energy will support his son in 2013. “The news that HERO Energy is backing Dec this season is very good,” he continued. “We are looking forward to flying the flag for them along with Chicago Soft and The London Perfume Company. This will be Declan’s third year in cars having graduated from karts in 2011 and he has always said he wants to one day race at the Le Mans 24 Hours and by doing the British GT Championship we can continue to make the necessary steps to achieve that ambition. “Dec really showed his class at the end of last year and while initially we had planned to stay on in the Ginettas and win the G50 Cup, the chance to step up and do the British GT Championship was too good to turn down.